So many people tell me they don’t swim in the Gulf of Mexico because they’re afraid of sharks. 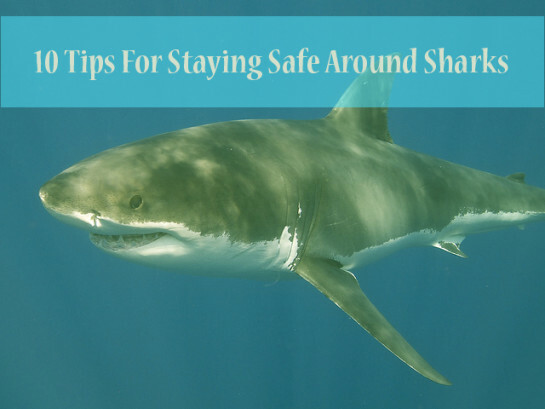 You really just need to know the truth about sharks and how to be safe while out in open water. We’ve spent our teen and adult lives swimming and surfing and know how small our chances are of a shark attack. Still, it’s comforting and important to know some great ways the American Red Cross believes you can minimize the risk of shark attack and have a great time in the water this summer! 1. Safety in numbers. Stay in a group. Sharks are more likely to attack a solitary person than a group. 2. Beware of the dark. Avoid being in the water at night, dawn or dusk, when sharks are most active and not easily seen. 3. Out for blood: Do not enter the water if bleeding from an open wound or if menstruating—sharks are attracted to blood and their ability to detect blood is very keen. 4. Leave the bling behind. Do not wear shiny jewelry, because the reflected light resembles fish scales. 5. Avoid the feeding frenzy. Do not enter the water in areas where there are signs of baitfish, especially those used by sport or commercial fishermen. 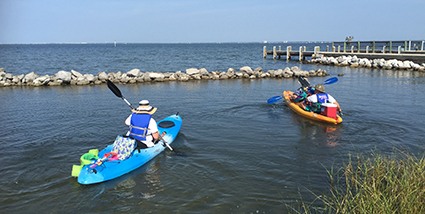 Feeding areas or areas where sewage, runoff or rivers flow into the sea are also dangerous. Diving sea birds are good indicators of these areas. 6. Tone it down. Use extra caution when waters are murky and avoid brightly colored clothing—sharks see contrast particularly well. 7. No splash zone. Avoid excess splashing and do not allow pets in the water because their erratic movements may attract shark attention. 8. Skip the local hangouts. Exercise caution when occupying the area between sandbars or near steep drop-offs—these are favorite hangouts for sharks. 9. Don’t panic. Do not enter the water if sharks are known to be present and evacuate the water swiftly but calmly if sharks are sighted. 10. Keep your hands to yourself. It goes without saying, but do not harass or provoke a shark if you do encounter one!